Questions about Kichler Lighting 65325? 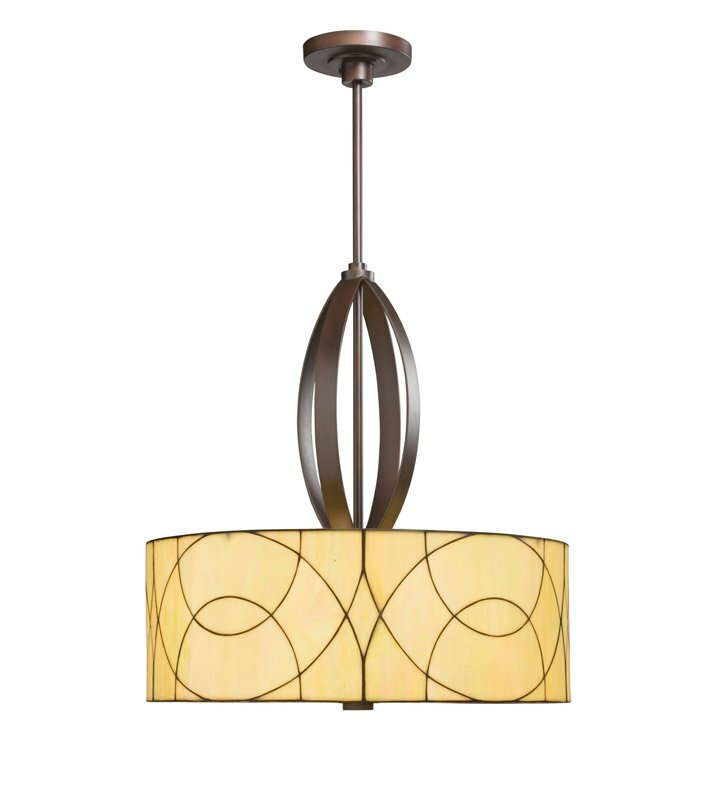 This 3 light pendant from the art glass Spyro Collection has the straight lines of contemporary design, but the warmth of transitional styling. With colors and materials that bring in richness and warmth - like an Olde Bronze Finish, iridescent art glass and chic drum shade - Spyro offers a strong modern flair that's comfortable and inviting. For additional 12 inch stems order, 2999OZ and for chain, 2996OZ. Dimensions: H 26 3/4" x W 24"